WHO IS JAMES R. QUIRK, WHAT IS HIS RELATIONSHIP TO LAWRENCE J. QUIRK, AND WHAT ON EARTH ARE THE "QUIRK AWARDS." 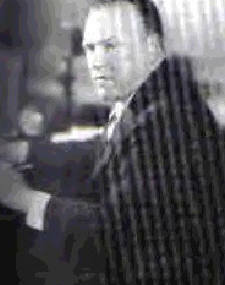 James R. Quirk was the editor and publisher of PHOTOPLAY magazine during its greatest period, the golden age of Hollywood. His nephew, author and film historian Lawrence J. Quirk, established the JRQ Awards in his memory. Recipients of the award have included major stars (as a celebration of their entire career) as well as the comparatively unsung, and the talented beginner. At first the awards were given at modest ceremonies in apartments, but then moved to the Roosevelt Townhouse on the Upper East Side of Manhattan in the 1980's. When the Townhouse was no longer available for functions, the Quirk Awards were presented at several different venues, including the Five Oaks Supper Club (once a great speakeasy) and Rose's Turn piano bar in the village. The awards have been televised on cable. While the last ceremony was a few years ago, awards are still given on occasion. There may be a new Quirk Awards in the near future. Although they can no longer officially be called the "Photoplay" awards, it is well-known that they embody the spirit of Photoplay -- the greatest of the film magazines -- and its famous editor during its golden period. In the 1980's author William Schoell became co-donor of the awards and expanded its range from films, film stars, and related areas to all of the performing arts, with a particular concentration on the great operatic composers. Therefore, THE JAMES R. QUIRK FILM AND PERFORMING ARTS AWARDS were born. We are asking all of our winners to please send us information about themselves to include on this page. Please send no more than 250 words about your past and present accomplishments, future projects, and anything that you would like people to know about you. You may also send up to two photographs. These could be a picture of yourself, a photo of your latest book jacket (if you're a writer) or performance (actor etc.) -- such as a scene from a play -- or your spouse or children and so on. You can send the information via email to quirksreviews@earthlink.net and also send digital photographs to that address. If you want to send material through regular mail please email us for the address. Thank you.